Sweet Touch have wide range of nail polish, nail varnish and gel nails in verity of finishes. 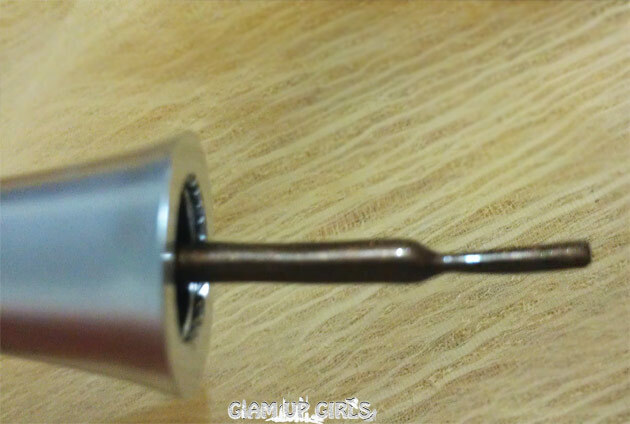 In today's post i am going to review one of their beautiful shade called brown. Sweet Touch Nail Polish is the premium addition in its range of other standard glossy nail polishes. Through a normal formulation that cartels opulent colors and photosensitive properties, Sweet Touch Nail Polish offers collection of stylish shades as to get an every mood and occasion look, Sweet Touch Nail Polish enhances your beauty with a touch of elegance. It is my very first purchase from Sweet Touch, it's beautiful sleek packaging got my attention to their beautiful shades. It has wide range of colors in very reasonable price. I got the shade in brown. The consistency is thin and dries out really quick however it gives very light and sheer color at one coat but pretty opaque at second coat but for me that's not bad as well because i like the color in one coat as well. 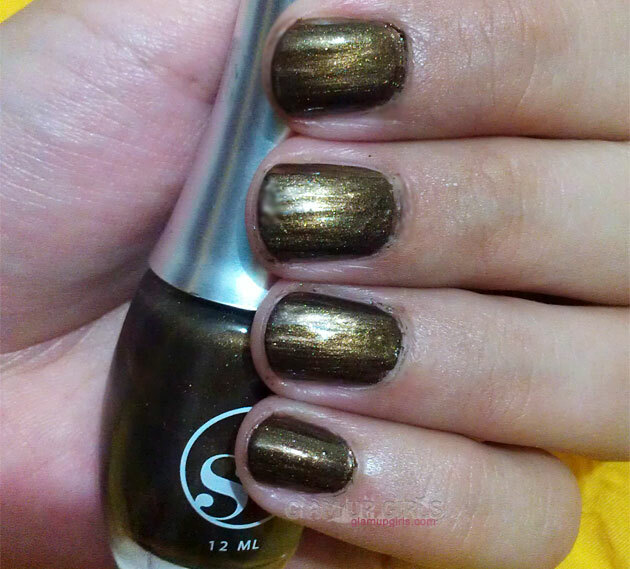 The shade brown is not exactly brown but a dark forest green shade with fine golden shimmer. 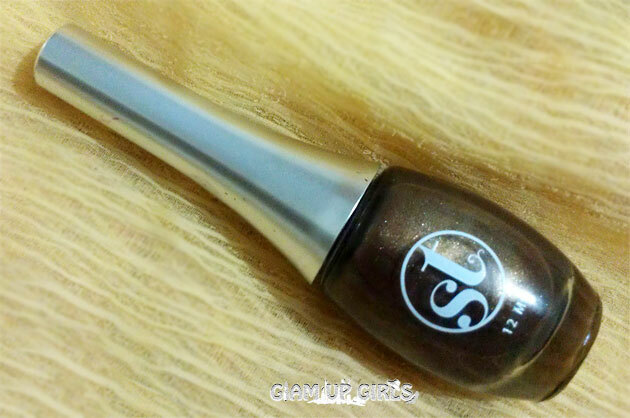 It is perfect shade for fall winter and makes the hands look more light and beautiful. It gives the glossy finish which is stays pretty long. The above swatches are achieved by 2 to 3 applications. I love every thing about this nail color from shade to its staying power which is more then two day, the only thing which bothers me is its brush it is little thin which takes almost three swipes to cover my whole nail. The staying power of this nail color is more then 2 days. 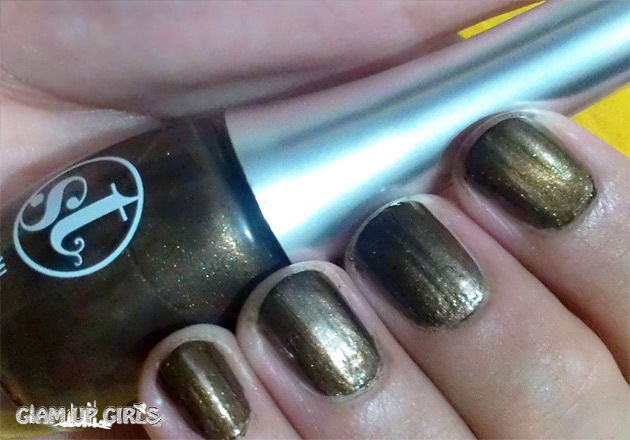 Overall i would recommend this nail polish to them who love dark shades with some shimmer. Sweet Touch Nail Polish is priced PKR160 and is available on all leading stores.